Dallas leads the nation in coworking growth percentage for both the amount of square footage of flexible workspace and the number of companies providing such spaces. Locally flexible workspaces have more than doubled in the last two years, and nationally, coworking companies accounted for over half of the total gains in office occupancy in 2018. 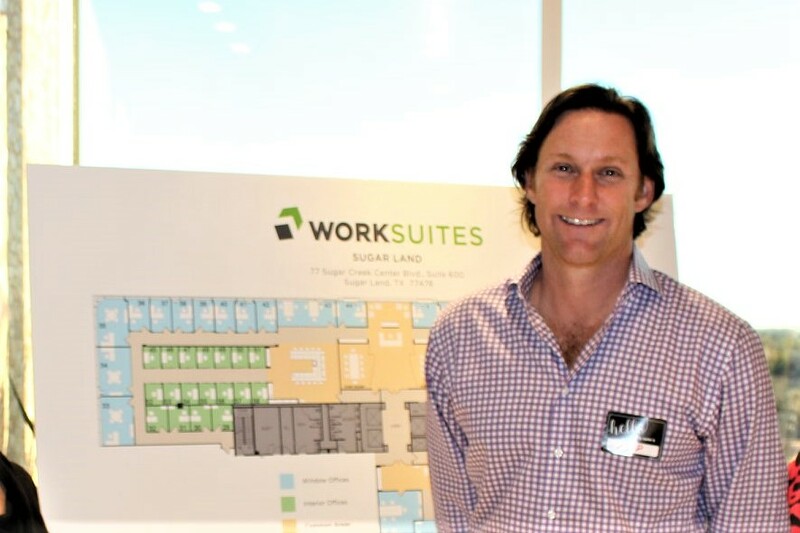 We sat down with Flip Howard (short for Phillip), CEO of WorkSuites to get some insight into the key drivers for the rebranding and some expert predictions about the future of coworking. What trends in the commercial real estate business have influenced the decision to rebrand? The rebrand is largely because of the economy in general. Names are getting shorter and more descriptive, and as we get in expansion mode we want to respond to that. We started our company in 2001 as Meridian Business Centers. I’ve been in the business for 20 years and these days, no one really knows what ‘business center’ means. Also, it’s too many syllables! 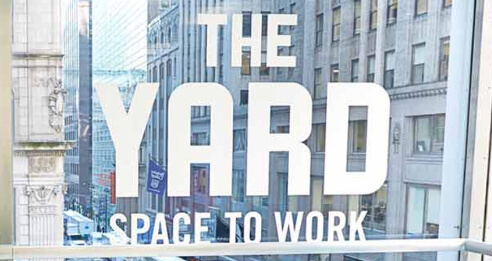 When you look at other flexible workspaces they all have shorter, catchier names. WorkSuites is catchier and actually describes what we do. And it’s more than just a name change, it really is about the brand. We have a wide range of services, including coworking memberships, and we cater to professionals who are looking for a real headquarters for their business. The economy in Texas is booming for flexible workspace. Big businesses are moving here from all over the country. Because of the more famous brands, awareness of flexible office leases has definitely increased. With more awareness, there’s more demand for coworking. Now that people know it’s an option, of course they’re going to go for something that’s easier on their end. Why do you think Dallas is such a good hub for coworking? The economy in Texas is hot! We have a very business-friendly environment with taxes being so low. The population is large and, between that, the economy, and immigration it’s booming. The demand for shared workspace is so dramatic. We’ve seen that people are more than willing to pay a premium for flexibility. Dallas is a great hub for coworking because, unlike Houston, which has an economy mostly centered around oil and gas, and Austin, which has an economy centered around technology, Dallas business sector is diverse. Many industry leaders in finance, insurance, real estate, and professional and business services call DFW home, and these sectors support the need for flexible workspace. Why do your clients choose more professional flexible office spaces over younger, trendier coworking brands like WeWork? This is a headquarters for their [customers’] business. Whether it’s one person or ten people. For 70 percent of our offices, it’s the headquarters. It doesn’t feel shared or temporary. It’s a totally different vibe than the beer keg, ping pong table, open space that appeals to certain companies. I’m not knocking those other types of spaces. I think there’s plenty of room for all types of coworking spaces. But we know our clients and we’re really good at serving their needs. We don’t need to have a WeWork-style atmosphere. But we’re also not one of those outdated buildings with no light and a bunch of dingy corridors. We are halfway between a traditional executive suite and a contemporary coworking facility. We’ve noticed that WeWork has really just caused an exponential increase in awareness of flexible office space. We kind of do the same thing but we see them as more of an indirect competitor cause we have a different type of customer. A few years ago if I had told somebody what we do, they would have looked at me with a confused face. Now, because of WeWork and Knotel and other large companies, our business is recognizable to more people. I would welcome it if they opened another location because that’s directly translating into more business for us. Because more people know about the whole concept, we have more leads than ever, more clients, and we have plans to open more locations just to keep up with the demand. Although the larger brands are expanding so quickly, coworking is still an industry that sells space as a commodity. Considering that there is always a measure of economic risk in the real estate market, where do you see the future of the coworking industry going? I think in the case of an economic downturn, it will be interesting to see which coworking spaces survive. I think the ones who are good at it will thrive when times get harder and the bad ones will fail. I feel pretty confident that coworking is here to stay. Now that people are aware that flexible leases are an option, there’s no going back — it’s just a question of whether the supply will be there in the case of an economic downturn. Ironically, WeWork and Industrious and other companies have created more demand than actual supply for coworking spaces. Building owners and landlords are getting into it for the higher margins. The fact that you can rent a building and essentially sublease it to multiple tenants for a profit is very attractive. But some people think all they need to open a coworking space is to own property. But it’s definitely A LOT more than that. More than just owning a building, it’s closer to the hospitality business. It’s more like owning a hotel, where it’s really about providing excellent customer service and amenities. In the coworking industry, there is an emphasis on community and the ability to network more easily through sponsored events and parties. Do you feel that this is lacking in executive suites or just good PR on the part of coworking giants? Historically it has been totally lacking in executive suites, also in terms of transparency in pricing. The industry has a lot to learn from younger coworking spaces in that respect. That’s half the reason that the clients are there. They want to be part of events and networking. We host networking events and happy hours and we hire people who are good at building relationships. Our customers don’t see this as a real estate transaction but more of a customer service transaction. Renting an office space used to be a less transparent deal between lawyers and brokers, sometimes with shady, bait-and-switch pricing that you would have to watch out for. Twenty years ago, people expected those types of complicated pricing structures with their offices. In 2019 they want it short and straightforward, which is what most coworking spaces give them. There are so many terms to describe what simply means a more tenant-friendly office lease. Do you draw a distinction between the words ‘coworking’ and ‘shared workspace’ (or flex office, serviced office, etc…)? Not anymore. I used to. A lot of our customers do which is problematic. When they hear ‘executive suites’ they picture a dark hallway of doors with no light, everything closed off. And when they picture ‘coworking’ they see a more light, open space, a sense of community and it’s just a catchy term that seems to get a more positive reaction from people. Only a few years ago, executive suites and coworking spaces were two distinct things. Today, flexible workspaces employ a hybrid model, dedicating a vast majority of its square footage to private offices and flexible office memberships. 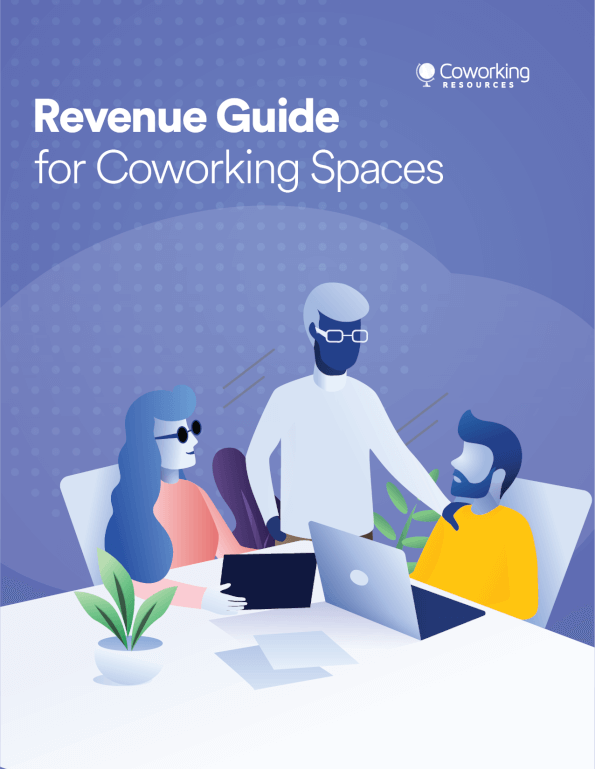 The blurred line between the two is leading to the rapid adoption of the term “Coworking” as an umbrella term for a shared office environment. However, in Dallas, people still get a stigma about the term coworking. They just think it’s about millennials, with the stereotypical open floor plan full of ping pong tables and beer kegs. WorkSuites is definitely not that, but we do offer coworking memberships along with private dedicated offices and suites. All of those terms [coworking, flexible office, etc…] apply to us but I don’t like the term ‘executive suits’ because I think it’s dying. What software or method do you use to manage customer relations and stay in touch with your clients’ needs? We have custom written software for that but really it’s just about hiring the right people. If you have the right community manager you’ll build a real community and have a healthy business. I mean it’s unavoidable to have a bad hire sometimes but you can tell very quickly how that reflects on the community. Getting the right person for the job is what really makes a difference. Recently, there’s been a rise in coworking spaces catering to niche markets, like women-only, LGBTQ-focused business, artists-only, etc… Do you feel the pressure to expand WORKSUITES services towards specific demographics or industries? Not really. I know what I do best. I focus on what I know and what our primary customer base has always been. I don’t really need to change my niche because there’s more than enough demand for what we do really well. We’re happy to keep expanding within what we do we best. I think there’s plenty of room for all different styles of coworking models, but we know what we’re good at.